Is your anti-virus telling you a file is clean, but you have your doubts? In just a minute, you will find out whether the file is malicious (and if it is, how harmful it is) and receive a detailed report that includes a video showing how the file is operating in the system and making modifications to it, and what nodes it is connecting to. 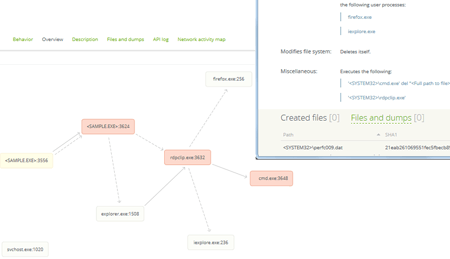 You will also see its network activity map and more. What havoc can a Trojan wreak on your computer? You will see it before it starts for real. What would the aftermath of a hypothetical attack on your company look like? Find out in advance. What did the attackers plan to do in your network? 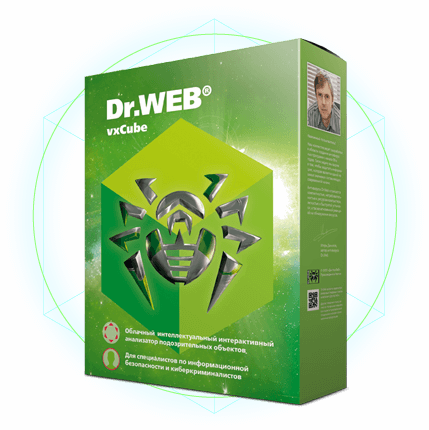 Dr.Web vxCube will give you the complete details. a custom Dr.Web CureIt! build that will neutralise the brand-new, previously unknown malicious program. 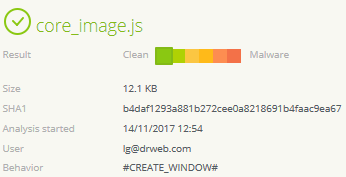 If the analysis determines that Dr.Web is not yet able to detect the submitted file, a custom Dr.Web CureIt! build will be generated for you to cure your system. Thanks to Dr.Web CureIt! 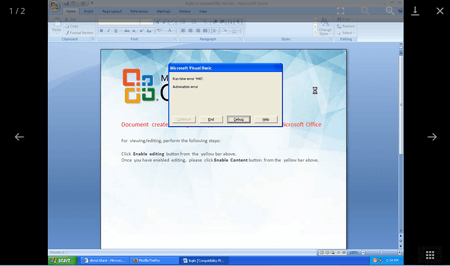 's versatility, it can operate without being installed in any system already relying on a different anti-virus. The service will particularly come in handy for companies that don't yet use Dr.Web as their primary anti-virus defence. Examines suspicious objects online by analysing their behaviour in an isolated virtual environment on Doctor Web's servers. The number of objects that can be examined is only limited by the parameters of a customer's license. Objects are examined in an environment that is set up by the user. Analyses one object simultaneously under different operating systems and with different application versions. A detailed list of available operating systems and applications can be found in the documentation. Reproduces any of the suspicious object’s actions in the virtual environment that’s been set up to observe it. 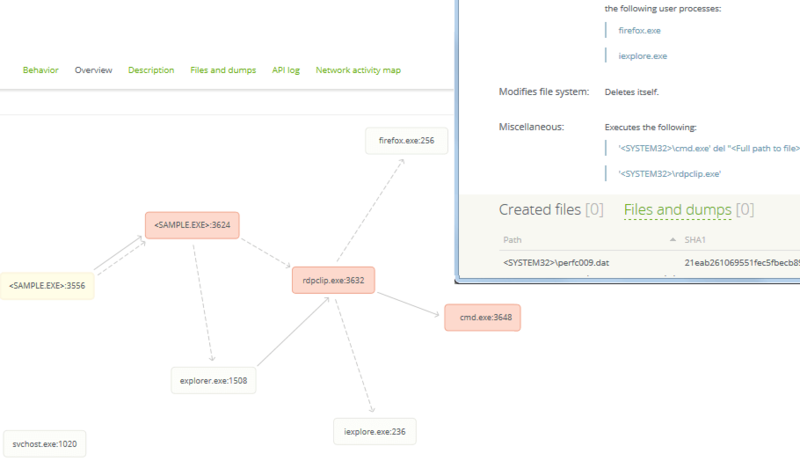 You get a technical report about the malware’s behaviour (including a video) as well as a map of its network activity. Report examples. 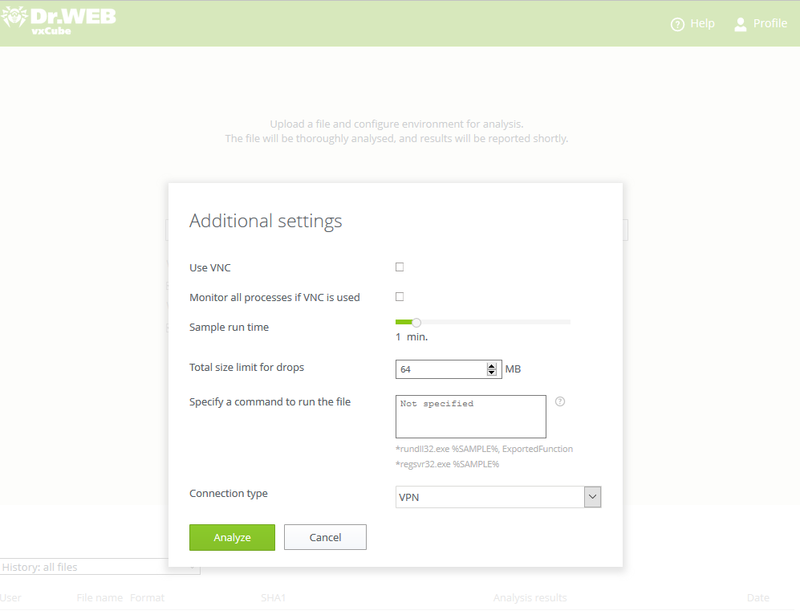 Integrate Dr.Web vxCube with your corporate IT infrastructure and automatically receive analysis reports. 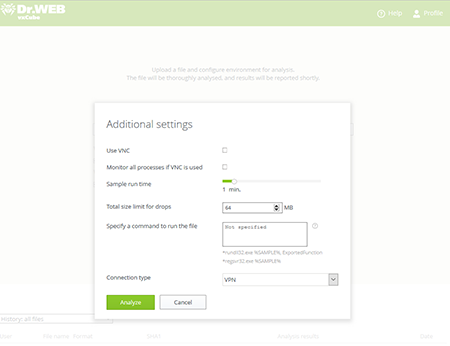 To sign in to Dr.Web vxCube and submit a file for analysis, you only need a browser and an Internet connection. If you want to control the analysis in interactive mode, make sure your browser is not configured to block pop-ups. As a rule, an analysis is conducted in one minute or less, but if the examiner believes that amount of time was insufficient to analyse the suspicious file thoroughly, the desired analysis time can be specified in the settings. 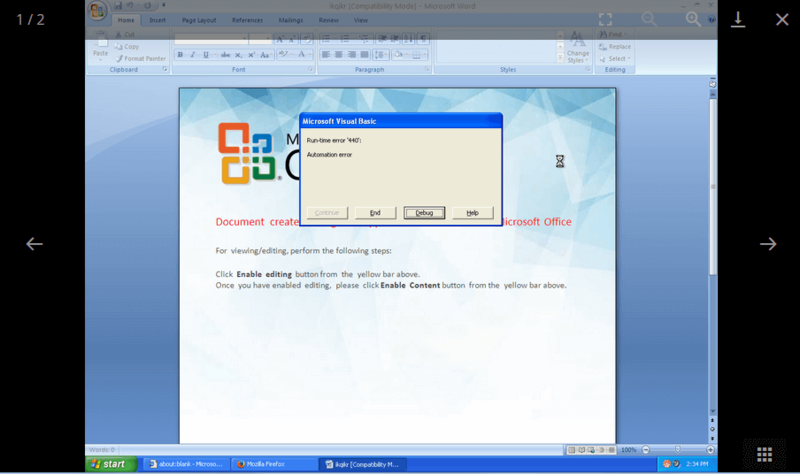 The file is executed on the virtual machine's desktop. The analysis determines the file's harmfulness score (from 0 to 100); a detailed report is also provided. Reports contain the list of actions taken by an object and a video demonstration of them. All the analysed program’s actions are filmed. The recording can be used in a subsequent analysis—you can observe the malicious object in action. You will also be provided with technical information, including the nodes the analysed file communicates with, the list of files it creates, the registry entries it alters, and much more. 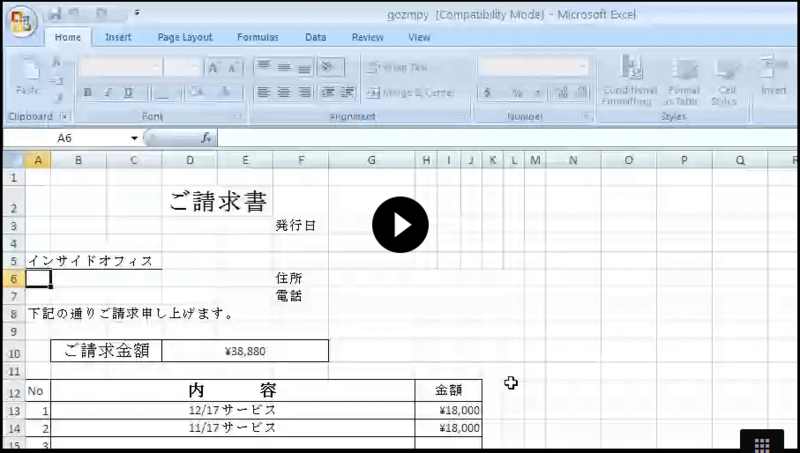 You can view reports in your account area or download them as archive files. Report examples.